https://mysonginthenight.com/songwriting/ viagra buy now With three satellites launched in less than a year and a fourth slated for 2014, the GEO-Information division of Astrium Services has begun writing yet another chapter in its 30-year success story of providing high-quality commercial Earth observation products and services. A growing constellation of optical and radar satellites sets the company apart in an increasingly competitive global market. Astrium Services has been widely praised for its dramatic entry into the very-high-resolution, sub-meter optical market with the Pléiades 1A and 1B satellites launched just 12months apart. 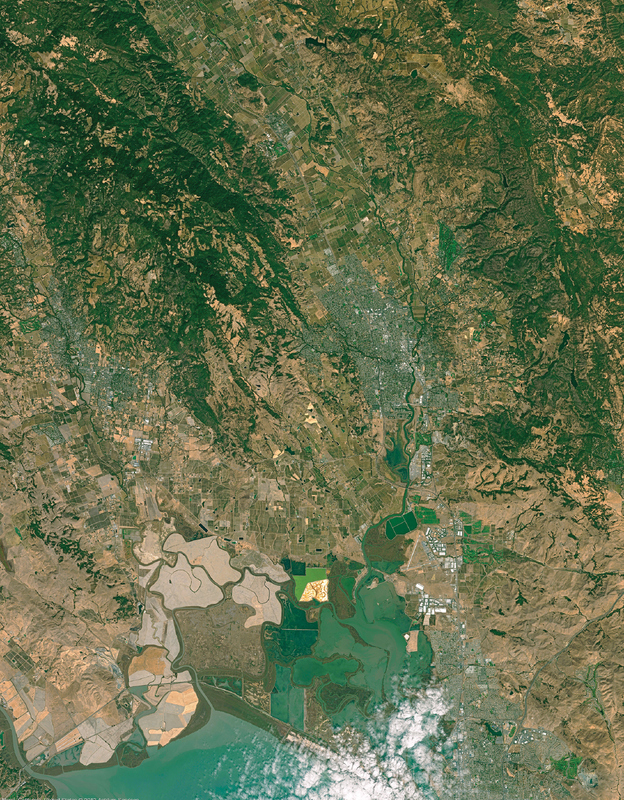 The company has been similarly lauded by the geospatial community for its commitment to high- and mid-resolution data continuity, punctuated by the SPOT 6 launch last September and preparation for SPOT 7 to join its twin in orbit next year. http://sanfordbiggers.com/bio click here The successful launches ensure a continuous stream of truly commercial multi-resolution, multispectral imagery well into the next decade. While sub-meter imagery and data continuity are crucial to the appeal of the Pléiades and SPOT satellites in a rapidly diversifying market for geospatial products, Astrium Services has introduced an important new theme to the story: unprecedented data access. click here “Through nearly three decades of operating the SPOT satellites, we have learned that clients in all markets want faster and more direct access to image data, products and services,” said Greg Buckman, Managing Director of Astrium Services’ GEO-Information division in North America. click here To make better data access a reality, the company has upgraded its technologies in orbit and on the ground. The satellites themselves were redesigned for greater agility, enabling collection of more imagery with vastly reduced scheduling conflicts. And the company has tapped the power of cloud technology to put same-day tasking requests in the hands of clients and to streamline delivery and management of end products. order now The key component to improved data access—and an enhanced overall client experience—is the concept of the multi-satellite constellation unique to Astrium Services. Placed in phased orbits, the Pléiades and SPOT optical satellites are joining the TerraSAR- X and TanDEM-X synthetic aperture radar (SAR) platforms already in operation. With enormous daily geographic coverage, the satellites deliver an unprecedented stream of optical imagery and SAR data spanning multiple resolutions and spectral wavelengths. Launched in December 2011 and 2012 respectively, the very-high-resolution Pléiades 1A and 1B capture panchromatic and four-band multispectral data processed to generate standard 50-centimeter orthorectified color image products in 20×20-km scenes. The SPOT 6 and 7 sensors have been designed with improved resolving power over their SPOT 5 predecessor but still are in the same high-to-mid spatial resolution range. Imaging with a 60-km-wide footprint, SPOT 6 collects 1.5-meter panchromatic and 6-meter multispectral data. The Pléiades satellites have been placed in a 180-degree phased orbit, as will be true of SPOT 6 and 7 when the second is launched next year. This creates a daily revisit for each pair over most locations on Earth. The Pléiades and the SPOT pairs will be phased 90 degrees from each other for a twice daily revisit among the four satellites. The SPOTs cross the equator at 10:00 a.m. solar time (for that part of the Earth) followed by the Pléiades just 30 minutes later. “As expected, the sub-meter Pléiades imagery is in great demand for urban planning, military intelligence and civil engineering,” said Laure de Saint Denis, Global Marketing Director for Astrium Services’ GEO-Information division. “SPOT 6 data appeals to applications needing a balance between high-resolution and regional perspective, such as agriculture, forestry and general mapping.” See FIGURES 1-4. Pleiades image of Tuscon, Arizona, 2011, showing multiple planes. © CNES 2012 – Distribution Astrium Services/Spot Image. Spot 6 image of Napa, California, 2012. © Astrium Services 2012. All Rights Reserved. 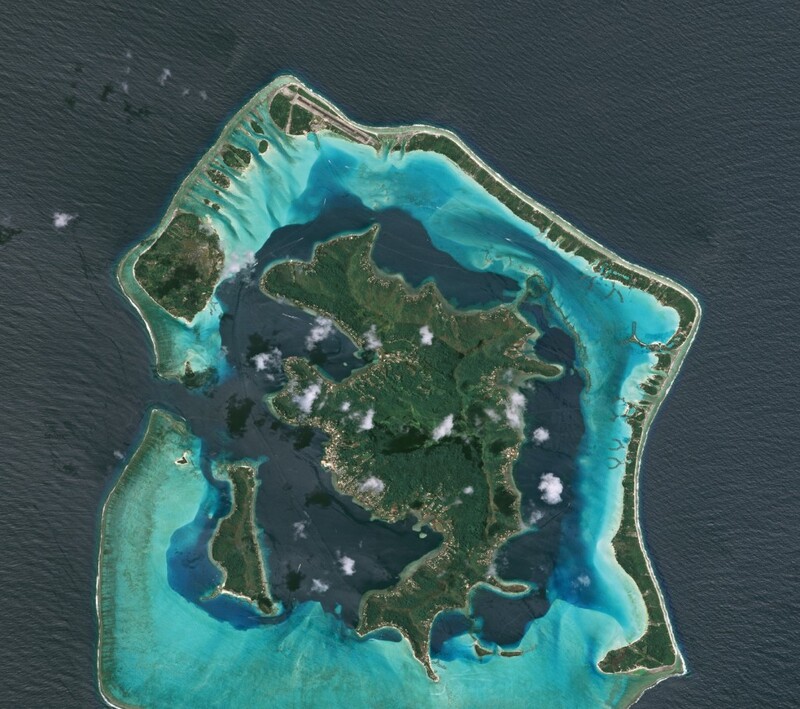 Bora Bora image taken by Spot 6, 2012. © Astrium Services 2012. All Rights Reserved. 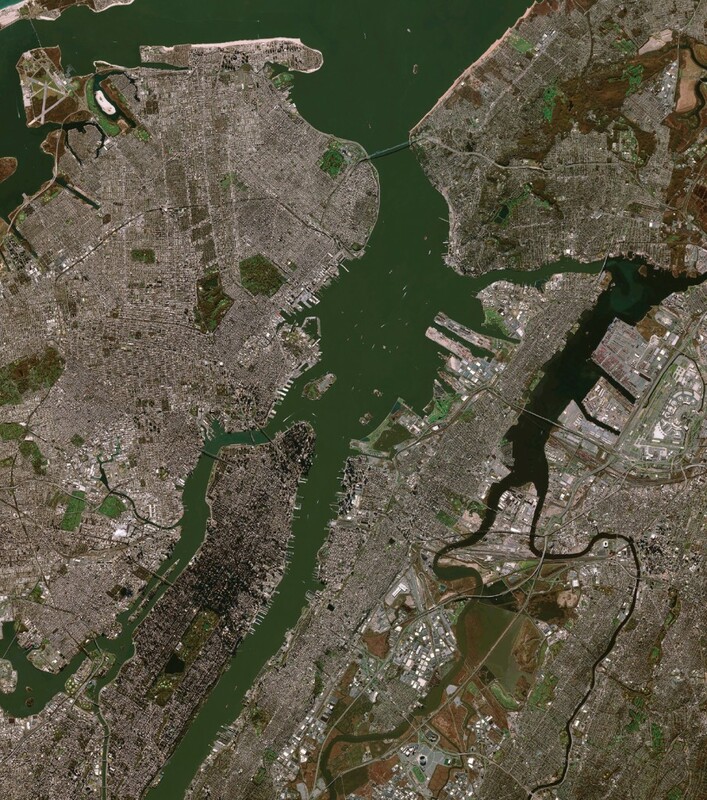 New York City image taken by Spot 6, 2012. © Astrium Services 2012. All Rights Reserved. In addition to rolling out new very-high-resolution image products generated from the Pléiades satellites, the company is leveraging the advanced SPOT 6 data to enhance its high- to mid-resolution offerings. The popular SPOTMaps color orthomosaics covering 100 individual countries, for instance, were originally created with 2.5-meter SPOT 5 data. 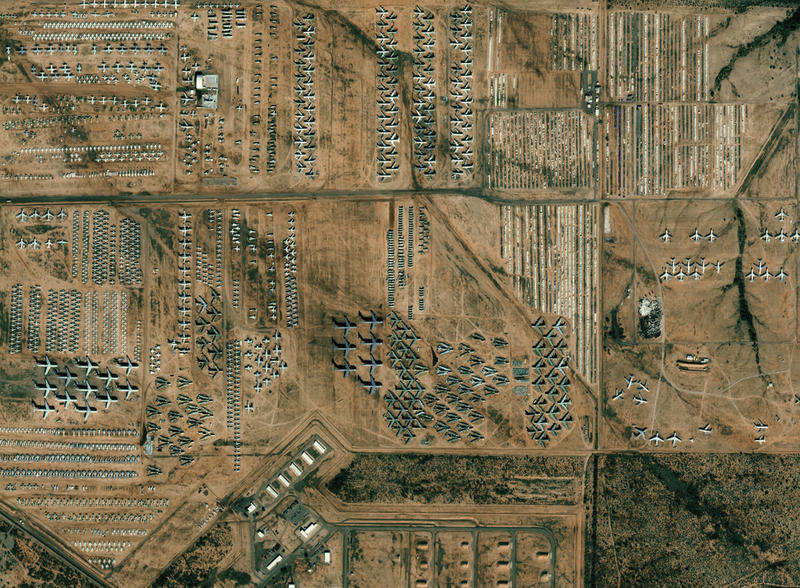 They are now being upgraded with 1.5-meter imagery from the new satellite. Already, clients in military, oil and gas development, and emergency response markets are using both Pléiades and SPOT datasets in combined applications to take advantage of their respective strengths. Disaster assessment may be the best example. Following an earthquake, for instance, SPOT 6 is relied upon to gauge the overall damage in the stricken region and to pinpoint hardest-hit sites. 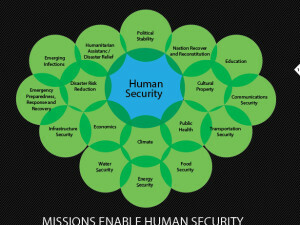 The Pléiades then zoom in on those priority areas so that appropriate relief can be deployed. See FIGURE 5. Pleaides image of fires in Colorado, 2012. 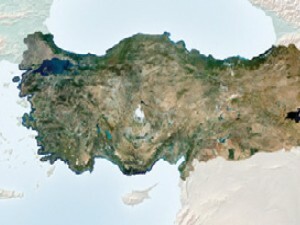 © CNES 2012 – Distribution Astrium Services/Spot Image. The most important technological advancement in both the Pléiades and SPOT series is the addition of Control Moment Gyroscopes (CMG) to the satellite buses. These allow the satellites to pitch and roll forward, backward and sideways up to 45 degrees very quickly—twice as fast as earlier designs. This remarkable agility enables them to capture a multitude of individual scenes, long strips, or broad contiguous areas of interest (AOI) on a single pass. The CMGs effectively extend the swath widths to 120 km for Pléiades and 300 km for SPOT. Another advantage of the highly agile satellite design is the ability of the Pléiades and SPOT satellites to collect tri-stereo imagery on the same pass. In addition to collecting two oblique images looking forward and backward over an AOI as SPOT 5 did, each new satellite can pivot fast enough to acquire a third vertically over the target. “This nadir image in the tri-stereo dataset vastly enhances the quality of elevation data extracted from the stereo images,” said de Saint Denis. She explained that in standard two-image stereo products acquired over steep terrain or dense metropolitan areas, low-lying features may be hidden from view in the oblique perspective by high mountains or tall buildings. In tri-stereo, the nadir image peers straight down into the natural or man-made valleys to capture all features and ground surfaces, resulting in more complete and accurate DEM datasets. As noted, Astrium Services’ satellite portfolio includes two SAR satellites, TerraSAR-X and TanDEM- X, launched in 2007 and 2010 respectively as a joint venture of Astrium Services and the German Aerospace Centre (DLR). With a maximum spatial resolution of 1 meter, both satellites operate in the X-band wavelength and have adjustable swath widths of up to 150 km. The primary differentiator between optical and SAR sensors is that radar systems are active systems transmit- ting radar pulses to the ground with the ability to collect data day or night in almost any weather conditions, including heavy clouds. 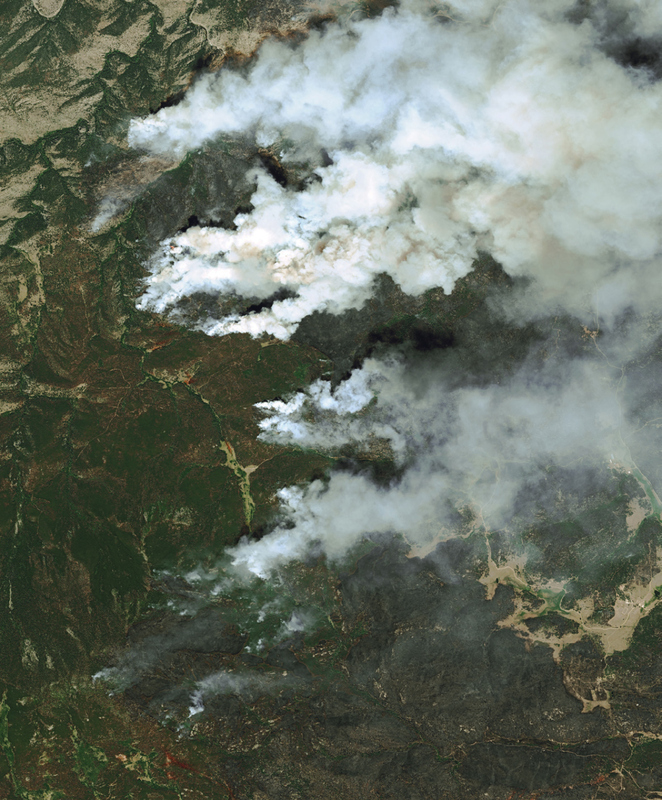 For these reasons, TerraSAR- X is used extensively for applications in regions where cloud cover or seasonal darkness thwart optical image collection, including defense and security applications, as well as mapping and emergency response. Maritime surveillance is also a major market, including ship detection & tracking, oil spill monitoring, and sea ice tracking. TerraSAR-X and TanDEM-X fly in a unique satellite formation only a few hundred meters apart forming a high-precision radar interferometer in space. The two satellites record data absolutely synchronously acquiring the data basis for a homogeneous global Digital Elevation Model (DEM). With elevation points captured every 12 meters (referred to as ‘posting’), this WorldDEM offering will be available from 2014 and features the highest resolution DEM with global coverage ever compiled. “Clients will be able to purchase elevation data off- the-shelf from the WorldDEM for any land area on Earth with coverage as large as entire continents,” said de Saint Denis. See FIGURE 6. TerraSAR-X offers a weather-independent site-access time of 2.5 days (2 days with 95% probability) for any point on Earth and a repeat cycle of 11-days. With radar monitoring services becoming increasingly in demand, especially over maritime regions, Astrium Services aims to improve the revisit time and increase data acquisition capacities. The company recently signed an agreement with Hisdesat, the Spanish government satellite service operator, to establish a Virtual Constellation with the TerraSAR-X and the Spanish PAZ satellite. Scheduled for launch in 2013, PAZ will be placed in an offset orbit to TerraSAR-X to cut the revisit time in half. Operating these two virtually identical satellites in a constellation will afford Astrium Services and Hisdesat with a more of lexible capacity management of their systems. Shorter revisit times and increased capacity will provide improved levels of responsiveness and acquisition opportunities worldwide, offering improved SAR capabilities for precise monitoring and detection of surface movement phenomena. With three advanced optical and two SAR satellites now in its portfolio, Astrium Services continues to upgrade its lines of products and services. For clients, the most significant of these may be its enhanced change detection service, now called Go Monitor. “With Go Monitor, our clients contract us to acquire image data over the same AOI repeatedly on the revisit schedule that makes the most sense for their application,” said Buckman, “Natural resource monitoring mayrequire quarterly collection, for instance, while defense and public safety might want twice-daily revisits.” See FIGURES 7-8. 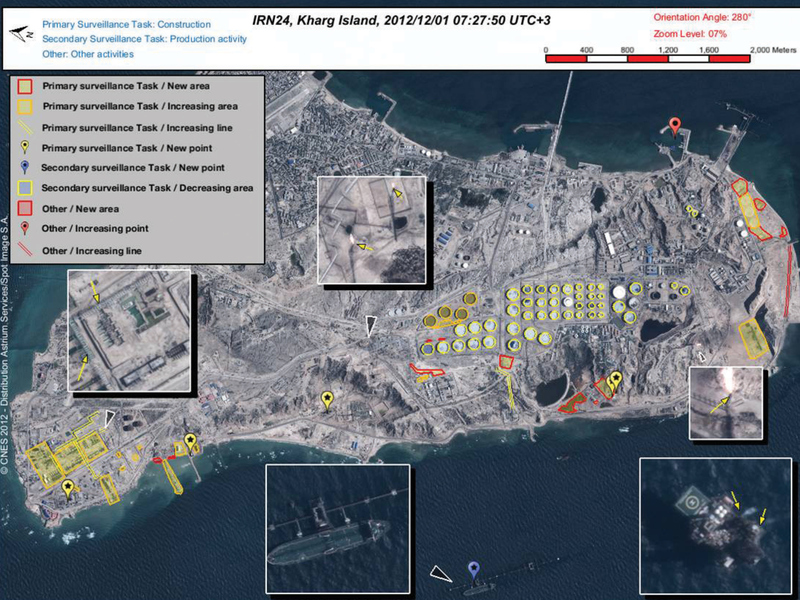 © CNES 2012 – Distribution Astrium Services/ Spot Image S.A.
Go Monitor was used for constructionand production activities on Kharg Island. Image taken Dec. 1, 2012. Pléiades satellite image © CNES 2012 – Distribu- tion Astrium Services/Spot Image S.A.
As part of Go Monitor, Astrium Services collects imagery over certain political hot spots around the world. Otherwise, clients select their AOI and satellite combinations, with an increasing number asking for SAR acquisitions to supplement the other platforms when darkness or clouds impede optical imaging. In some monitoring applications, however, SAR detects subtle changes that optical satellites can’t and radar is the primary collection method. 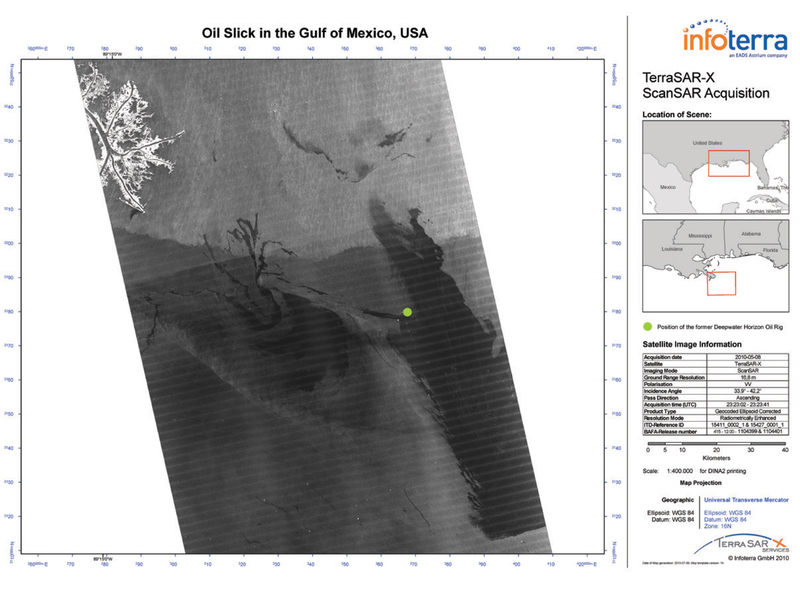 TerraSAR-X image of an oil slick off the Gulf of Mexico, taken Aug. 5, 2010. © Astrium Services 2010 – Infoterra GmbH. One of the biggest recent growth areas for the Go Monitor service has been offshore where the broad swath of the TerraSAR-X satellite quickly locates vessels that can then be identified with very-high-resolution Pléiades imagery. Nations have begun using this service as advance warning of foreign ships approaching their shores, and international shipping companies monitor their own vessels worldwide to track their safe navigation. See FIGURE 10. 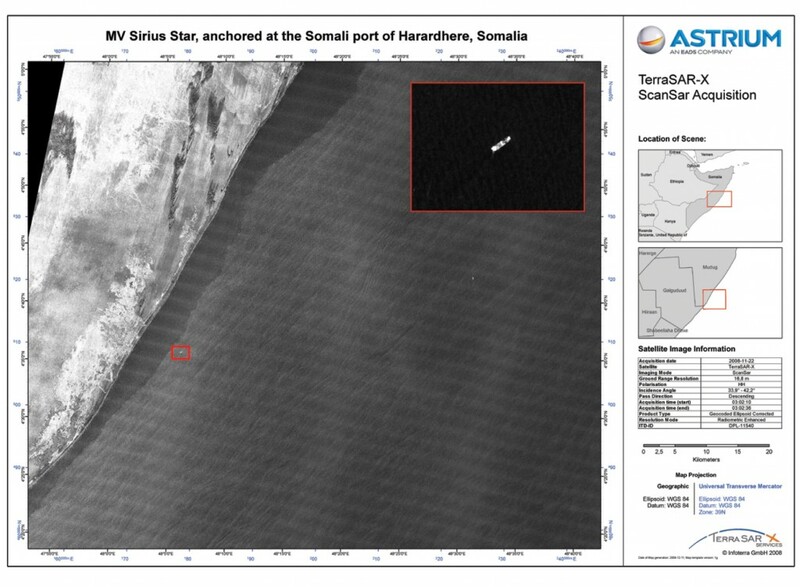 MV Sirius Star in Somali waters, imaged by TerraSAR-X. © Astrium Services 2008 – Infoterra GmbH. Monitoring ships in open water has become such an important part of the Go Monitor service that Astrium Services plans to increase the swath of the next-generation TerraSAR-X satellites to 400 km and add a maritime signaling receiver (AIS, or automatic identification system). This will enable the future radar satellites to instantly differentiate ships that are operating legally from those that may not be. To further facilitate client access to products and services, Astrium Services unveiled its online Geo- Store in 2012. Developed with state-of-the-art cloud technology, this easy-to-use portal lets clients select an AOI and view available Pléiades and SPOT data in the archive, with TerraSAR-X being added soon. Accounts can be established so that personnel from client organizations can place orders and pay for products online any time. One of the most innovative features of the GeoStore is the Instant Tasking option. As one of three options for ordering new acquisitions by Pléiades and SPOT satellites, Instant Tasking allows clients to task the satellite of their choice just hours before it passes over their AOI, allowing the end user to exploit an opening in weather conditions or catch an unexpected event on short notice. Any time of day or night, the client uploads AOI parameters and receives a list of overpasses for each optical satellite in the coming seven days. Instant Tasking also puts the client first in line for priority acquisition and product delivery. In the other two tasking options, the client can use the interface to automatically collect the next standard 20×20-km Pléiades image that fits the client’s criteria. Or the client may select the acquisition of a Pléiades or SPOT scene with tailored AOI parameters. Another data access challenge facing many geospatial imagery end users today is the problem of big data. Acknowledging that more satellites with higher resolu- tions create more complex problems related to storing, managing and searching the data, Astrium Services has rolled out a new suite of Cloud Services. 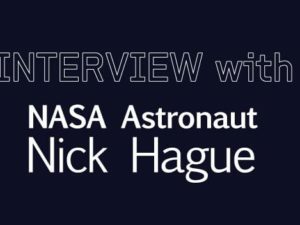 “Our Cloud Services are designed to make it easier and less expensive for clients to access and maintain geospatial data,” said Buckman. In its simplest deployment, these services give clients the option to stream their Astrium Services data, allowing them to access it from anywhere and from almost any device. In addition, clients can directly connect to the Astrium Services product catalog and order imagery with advanced processing. But what really makes the Cloud Services powerful is image data hosting. Organizations with large data archives can have their datasets hosted and maintained in the cloud on a secure third-party server with the data streamed live directly to any authorized end user in the enterprise at any time in any location. “The bottom line benefit of Cloud Services is that they increase the overall value of imagery by extending data access across the enterprise,” said Buckman. 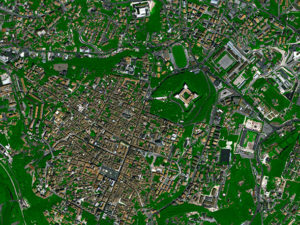 In the future, customers with benefit from the new worldwide high quality elevation product: WorldDEM. 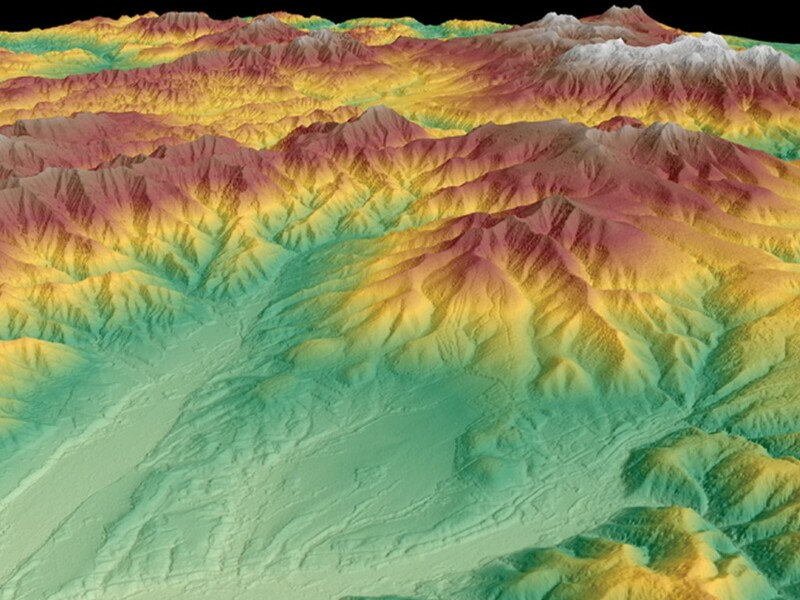 This global dataset will be available from 2014 for the entire Earth’s land surface – pole to pole.